NEW YORK, Sept. 18, 2018 /PRNewswire/ -- Chubb announced today that Jeremiah Konz has been named Executive Vice President, Reinsurance Officer for Chubb Overseas General, the company's international general insurance business in over 50 countries and territories. Mr. Konz is currently Senior Vice President, Ceded Reinsurance for Chubb's North American operations. In his new role, which will be effective January 1, he will have overall responsibility for Chubb's ceded reinsurance programs for all markets outside North America. Mr. Konz will report to Timothy O'Donnell, Vice President, Chubb Group and Division President, Commercial Property and Casualty, Overseas General Insurance, and to Michael Kessler, Vice President, Chubb Group and Chief Reinsurance Officer. Mr. Konz will succeed Neil Bennett, who will retire at the end of 2018. Over his 40 years in the insurance industry, including 20 years at Chubb, Mr. Bennett has worked in a variety of underwriting and claims roles, primarily in London and Bermuda. "Reinsurance is a critical part of how we manage risk, and Jeremiah brings deep expertise, as well as strong analytical and technical skills. I am pleased to welcome him to his new role," said Juan Andrade, Executive Vice President, Chubb Group and President, Overseas General Insurance. "I also want to thank Neil for his two decades of contributions to Chubb. We will wish him the best when he retires at year end." "Jeremiah 's experience and understanding of insurance and reinsurance markets will add real value to our business," said Mr. O'Donnell. "I am confident that his leadership will help us to further develop and implement our reinsurance strategy. We also look forward to continuing to work with Neil in the coming months as he approaches his well-earned retirement." 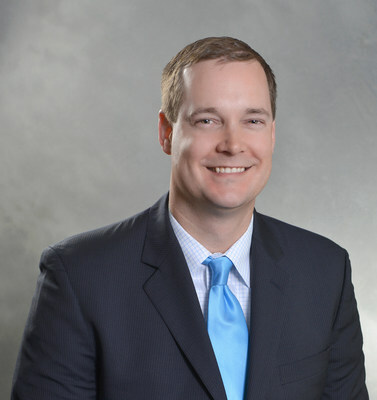 Mr. Konz has nearly 20 years of insurance industry experience. Before joining Chubb in 2012, he worked as an executive for reinsurance brokerage firm Aon Benfield providing analytic expertise to large commercial property reinsurance placements. In that role he worked in several geographies including Dallas, New York, Washington D.C. and Minneapolis over a 13-year period. Mr. Konz holds a Bachelor's degree in Business Management and Economics from the University of Minnesota. He also holds the Chartered Property Casualty Underwriter (CPCU) and Associate in Reinsurance (ARe) designations from the AICPU. Chubb is the world's largest publicly traded property and casualty insurance company. With operations in 54 countries and territories, Chubb provides commercial and personal property and casualty insurance, personal accident and supplemental health insurance, reinsurance and life insurance to a diverse group of clients. As an underwriting company, we assess, assume and manage risk with insight and discipline. We service and pay our claims fairly and promptly. The company is also defined by its extensive product and service offerings, broad distribution capabilities, exceptional financial strength and local operations globally. Parent company Chubb Limited is listed on the New York Stock Exchange (NYSE: CB) and is a component of the S&P 500 index. Chubb maintains executive offices in Zurich, New York, London and other locations, and employs approximately 31,000 people worldwide. Additional information can be found at: chubb.com.